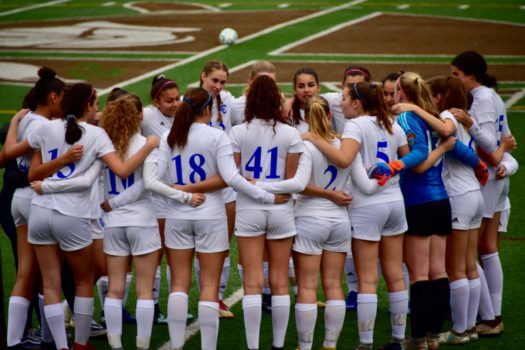 The Culver City Centaurs girls soccer team continued what has been a dominant year for Culver City High School sports in the 2018-2019 school year. Culver went 12-6-4 in the regular season (7-2-1 in league play), and tied Beverly Hills atop the Ocean League, marking their 2nd straight league title. Culver continued their momentum and success by putting together an extremely memorable run in the CIF playoffs. After advancing to the Southern Section semifinals, Culver earned themselves a spot in the state postseason as well. The Lady Centaurs won crucial games in the state tournament, including a win over Oak Hills, whom they’d previously lost to in the Southern Section playoffs. Though their season ultimately ended with a loss in the state championship game, Culver made history by winning the CIF Southern Regional title. With just 3 seniors on the team, the future looks bright for Culver, who will be poised to repeat with another unforgettable season.